Conservative group America Rising announced on Tuesday that it has filed a formal complaint to the House Committee on Oversight and Government Reform about a politically sensitive FOIA request that has been delayed for two years. "America Rising submitted a FOIA request nearly two years ago to the State Department requesting various records concerning GreenTech Automotive, which was then under scrutiny for its involvement in a foreign investor visa program," wrote America Rising. "To date, the State Department has not issued any responsive documents for our request." Questions about GreenTech Automotive—which came under scrutiny during the campaign of its former chairman, Virginia Gov. Terry McAuliffe (D.), and also employed Hillary Clinton's brother Tony Rodham as a top fundraiser—certainly were politically sensitive for the State Department. The House Committee on Oversight and Government Reform is asking for people to share their FOIA experience with it ahead of two days of hearings on the issue beginning on Tuesday. "America Rising is simply asking the federal government to obey the law and comply with FOIA requests in a timely manner," the group wrote. 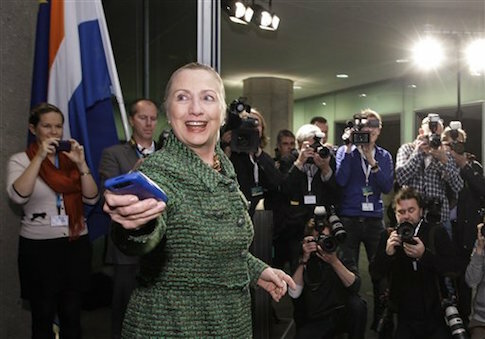 The Wall Street Journal reported that Hillary Clinton's State Department staff scrutinized politically sensitive documents. This entry was posted in Issues and tagged GreenTech, Hillary Clinton, State Department, Terry McAuliffe, Transparency. Bookmark the permalink.